Herlihy Moving & Storage has been moving Ohio families and businesses for almost as long as trucks have been on the road. Established in 1920 by John Herlihy, Sr., we’re a third-generation family business with deep roots in Chillicothe, Columbus, and Athens, Ohio. Herlihy became an authorized agent for Mayflower Transit in 1933 – just six years after Mayflower became the nation’s first Interstate Commerce Commission carrier. 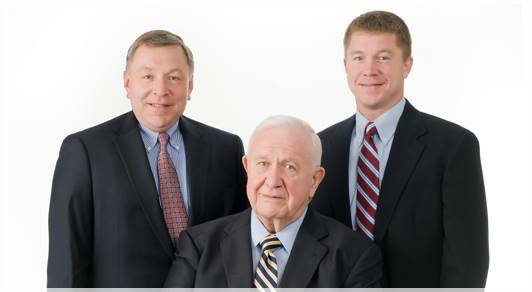 Today, we have the distinction of being the oldest family owned and operated Mayflower agent in the country. Currently under the leadership of the founder’s grandsons, President Joe Herlihy and Vice President James Herlihy, the company remains committed to providing 100 percent customer satisfaction with each move. Whether you’re planning a residential move, undergoing a corporate relocation, need to move your office or wish to keep your items in storage, our family is here to take the stress out of the process. John Herlihy, Sr. started Herlihy Moving & Storage in 1920 with little more than a truck and a determination to succeed by making customers happy with each move. This dedication to 100 percent customer satisfaction remains the cornerstone of our family business. In 1921, Herlihy Moving rented space from a small tire store on East Main Street in Chillicothe. After taking over the tire store, John changed the name of the company to Herlihy Tire & Transportation, selling B. F. Goodrich tires and Shell gasoline. Running the business soon became a family affair. By the age of 9, John Jr. began helping his father by pumping gas and cleaning windshields. He began working on company trucks after receiving his driver’s license at age 13. The next big step for the business was becoming an authorized agent for Mayflower Transit in 1933, giving us the ability to coordinate moves from coast to coast. John Herlihy, Jr. took over management of the company in 1948. His eight children grew up working in the business. Over time, Herlihy Mayflower invested in a new office, warehouse and mini-storage space on Marietta Road, Plyleys Lane, and Watt Street in Chillicothe. We also expanded our fleet of trucks and equipment and increased our service footprint throughout south central Ohio. John Jr. was deeply involved with the local business community. He served several terms on the Chillicothe City Council and as Chairman of the Board of the Chillicothe Ross County Chamber of Commerce in 1966. The third generation of the family got involved in Herlihy Moving & Storage upon Joseph D. Herlihy’s resignation from the Navy in 1994. Within a year of his return, the company expanded into Columbus, Ohio. That same year, James Herlihy joined the business full-time, running the Columbus operation. John Jr. retired in 1998. The company has more than tripled in size under the leadership of President Joe Herlihy and Vice President James Herlihy through continued investment in new equipment, real estate and new lines of business. Joe Herlihy has maintained the family tradition of community service by serving on the Chillicothe City Council. Today, Herlihy Moving & Storage manages over 190,000 square feet of storage facilities, serving nearly 500 mini-storage customers. We operate in three primary sales territories—Greater Columbus, Athens, and southeastern Ohio—and market our services in 37 counties covering more than a third of Ohio. As one of Ohio’s top moving companies, our family will be here to move your family through the 21st century and beyond. No job is too big or too small. Whether you’re moving across the street or around the globe, we’re always ready to shoulder the stressful load for you.